Contact us and get started on your Special Event TODAY! When your livelihood depends on getting and maintaining a professional license, we can help! Has your license been suspended or revoked? We can get you back to work fast! If your license requires you to get a Surety Bond, we can get you approved quickly, then issue and deliver your bond. Our streamlined process makes it easy to get started. Call 678-694-1967 today to get started or fill out our convenient application online. Whether you're a manufacturer, wholesaler, retailer or are opening a restaurant/bar, you will need to obtain an Alcohol Beverage License Permit. This can be a tricky and time consuming process. 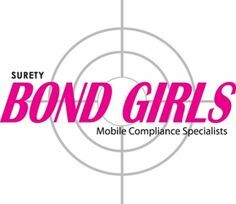 Surety Bond Girls' friendly, licensed agents can guide you through the complex Alcohol Beverage License Permitting process from the initial application through the final approval. You can be confident that we will be on task every step of the way, helping you to stay on schedule by avoiding pitfalls and delays often associated with obtaining an Alcohol Beverage License Permit. Signs are one of the most important marketing tools for your business. We can navigate local ordinances and cut through red tape to get your permits quickly. *We add Cities all the time, contact us if you don't see yours listed.